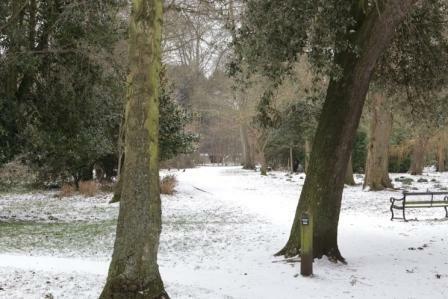 As well as protecting the heritage of Sir Richard Hotham, founder of the town, and the Park’s status as a conservation area, as created by William Fletcher, Hotham Park Heritage Trust is dedicated to improving the facilities within the Park for everyone. This is achieved, in the main, by raising funds at our events. 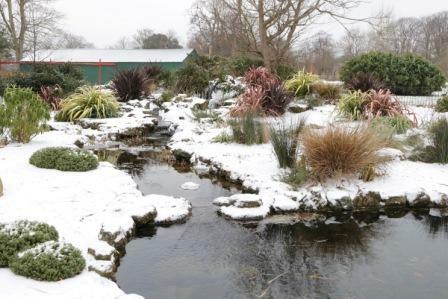 We are then able to fund either entirely, or make a contribution towards, various attractions. 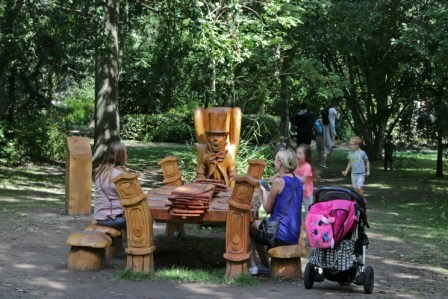 A recent addition to the Park was a magnificent hand-carved wooden sculpture which was installed in April 2017 and is situated in the ‘Mad Hatter’s Copse’ to the east of the Mary Macfie pavilion. 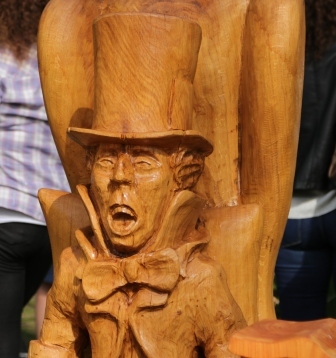 It was crafted by Simon Groves and depicts the Mad Hatter’s Tea Party from the story of Alice in Wonderland. 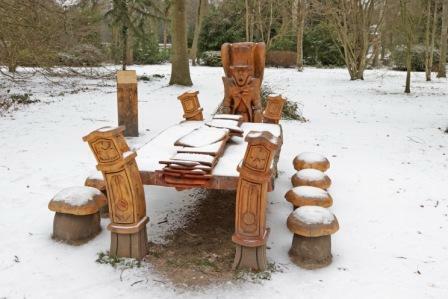 The design is an 8ft x 2.5ft table with clocks in each corner, playing cards down the centre and 8 mushrooms as seating, with the Mad Hatter as a separate figure. 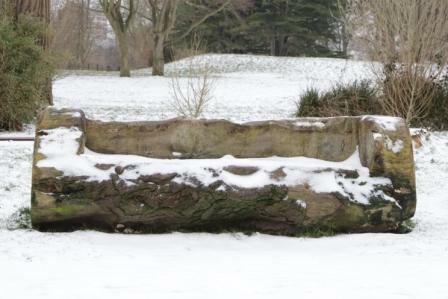 It will be a permanent feature in the Park and we hope it will be enjoyed by everyone for many years to come. 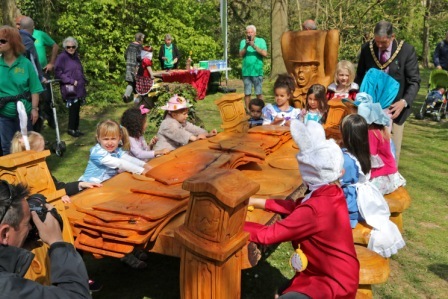 The theme of Alice in Wonderland was chosen by children from local schools and the full cost of the sculpture was met from funds raised at the Hotham Park Heritage Trust Country Fair which was held over the first weekend of August 2016. 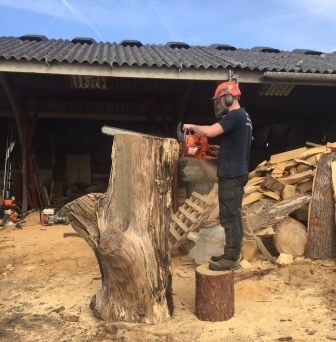 We are also delighted to annouce that income from the 2017 Country Fair has allowed us to unveil even more sculptures. 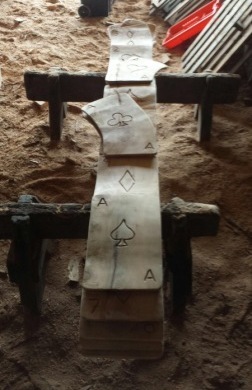 These are of Alice, the White Rabbit and Queen of Hearts and the unveiling was on 27 May 2018. 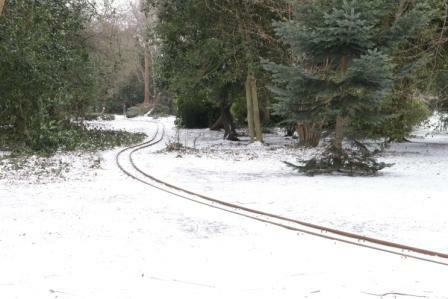 Make sure you follow the trail next time you are in the Park! 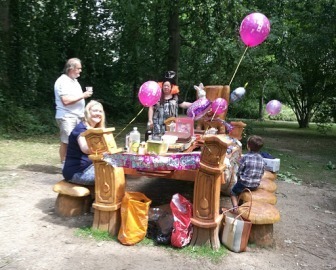 To continue improving the Park we need to raise more funds and hope you will help us achieve this by making our events even bigger and better. 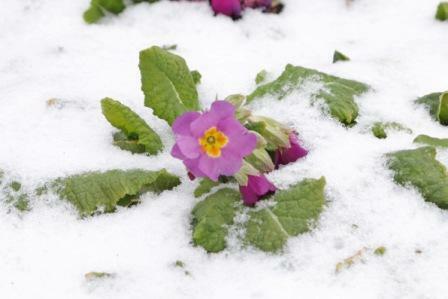 If you can assist us in any way please do not hesitate to contact us. You, your ideas and help will be most welcome. 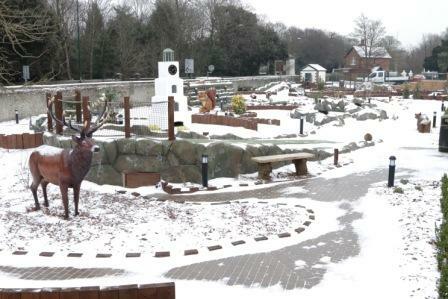 As our main motivation is to protect the Park and improve the facilities for everyone we have been delighted to see families enjoy this new sculpture, as seen in the pictures below. 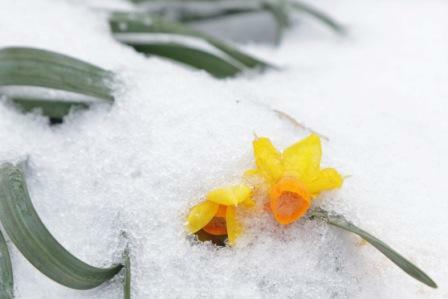 Long may this continue! 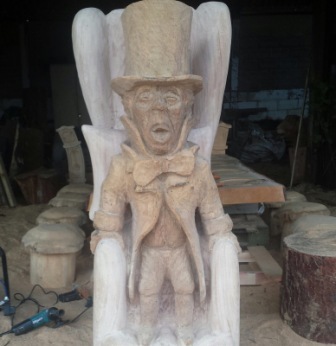 It took Simon 15 days to carve the Mad Hatter figure and picnic table. 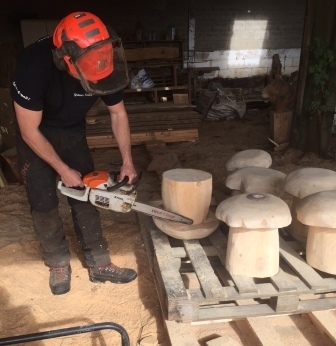 All the pieces weigh just over a ton in total and were carved using a chainsaw with sanding by Simon’s assistant, Harrison, to take the roughness off. 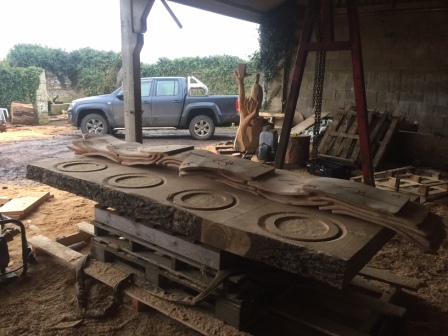 It is Simon’s seventh year as a sculptor and this is one of the largest things he has made. 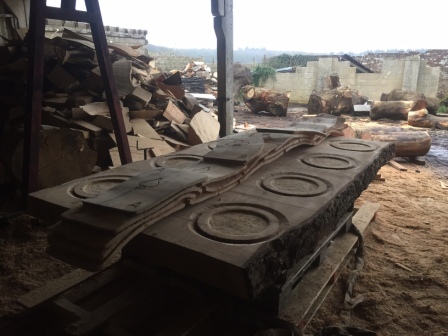 Here are some pictures of the carving in progress. 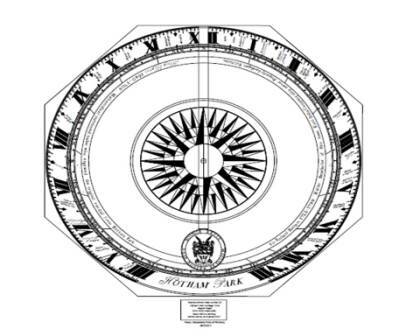 Hotham Park Sundial – Enjoy TIME in the Park! 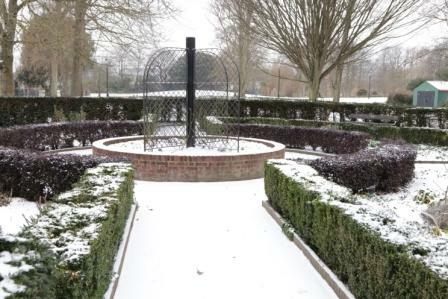 There is now a magnificent new sundial in Hotham Park. 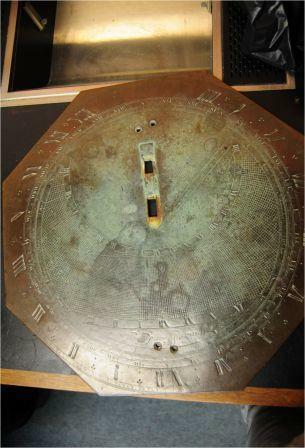 The original was removed years ago after being vandalised and was replaced with an ordinary sundial. 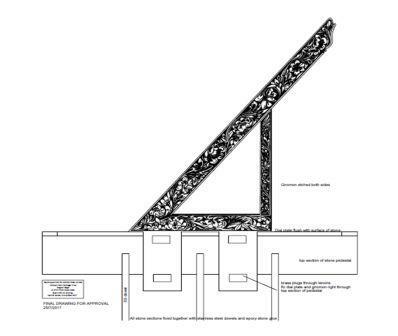 When the value of the original was assessed it was placed in the Arun District Council safe although, unfortunately, the original gnomon (the vertical shadow stick) had disappeared. 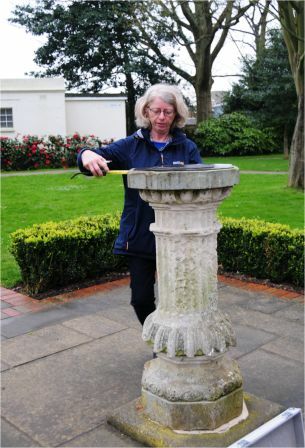 This project started when the replacement sundial had been vandalised yet again, the gnomon had been broken off and it was suggested that we buy a few plastic sundials that could be replaced cheaply and often. 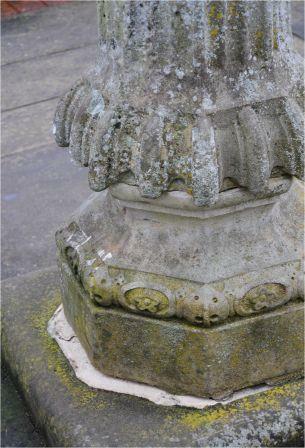 The original pedestal had also been damaged by a vehicle and moved out of place. 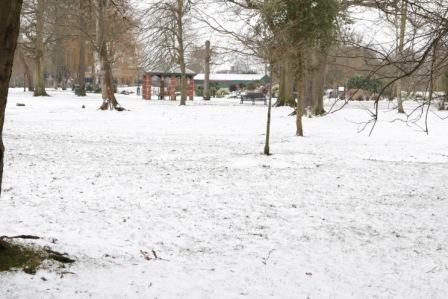 Hotham Park Heritage Trust decided to see whether it was viable to replace the original with a vandal-proof replica. 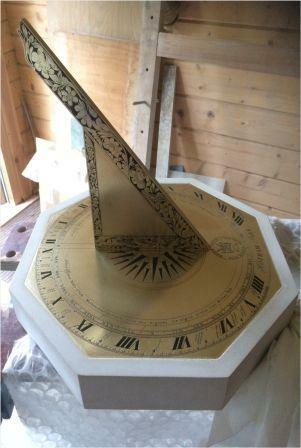 We found a brilliant sundial maker, Harriet James, who was excited to discover that the original was a double horizontal sundial made by Henry Wynne, very rare and interesting (her words). 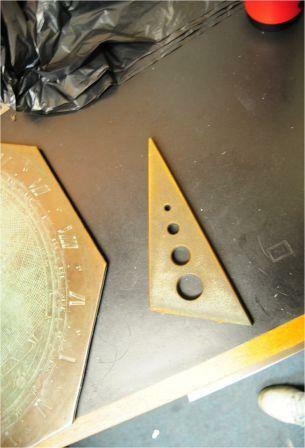 It had multiple lines and curves within the inner circle giving times of sunrise, sunset, day length etc. 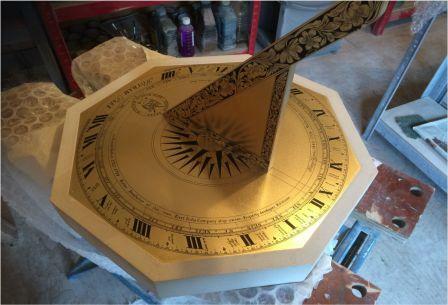 Harriet suggested that the replacement should be simplified to give time and compass directions and include date curves for summer and winter solstices and the equinoxes to replace the stereo grid but be in the original 17th century style of Henry Wynne. 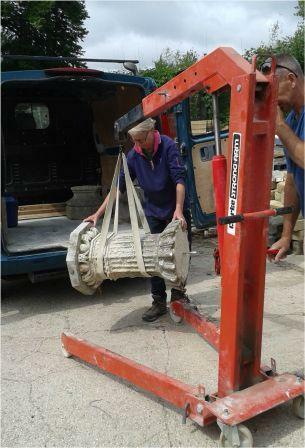 She described how she could fit the sections through the pedestal with a stainless-steel dowel and security fixings to make it ‘bomb-proof’ which was a big element in our decision to go ahead. 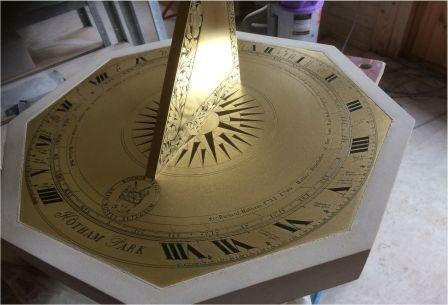 The sundial has been crafted, the pedestal repaired and the finished article is now proudly installed. 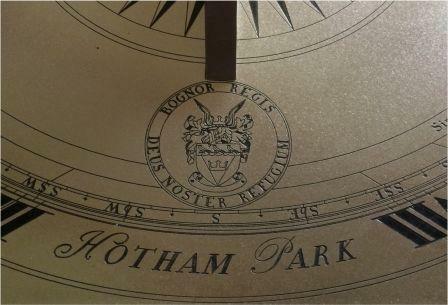 We hope you enjoy using our amazing new Hotham Park Sundial and are very proud that the endeavours of Hotham Park Heritage Trust have made this happen. 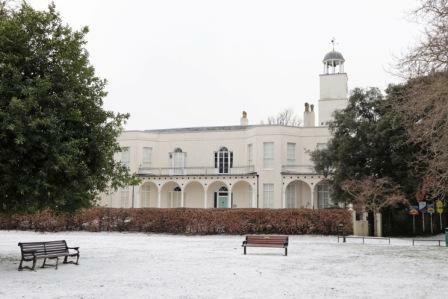 We will update this page with pictures of the new sundial soon but, in the meantime, the next time you are in Hotham Park have a look and see how easy it is to tell the time using the sundial, remembering that it will always show the time in Greenwich Mean Time (GMT). 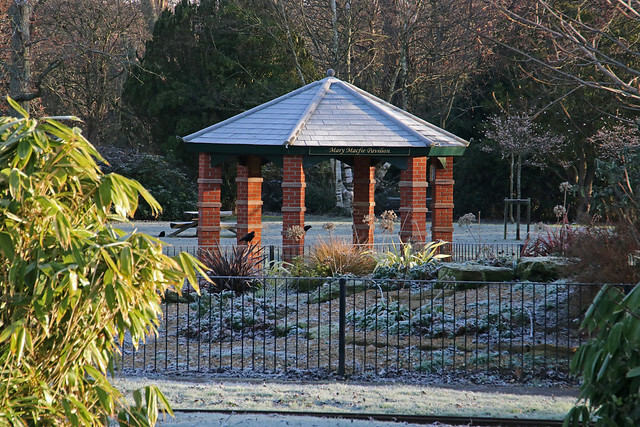 There are plenty of beautiful scenes in the Park, as shown on the flickr slideshow below which has over 100 pictures for you to enjoy. 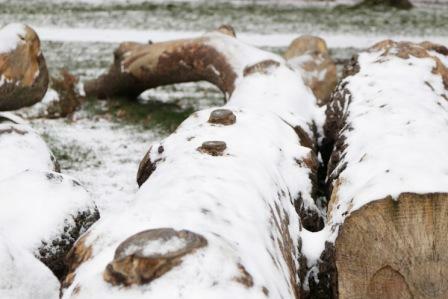 Look out for the carved wooden owl which is one of the many hidden gems you can find. 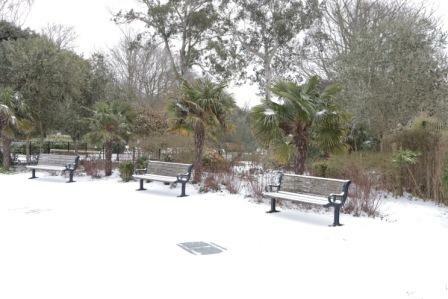 To view the slideshow click on the arrows to the right or left of the pictures. To see the show in full screen, click on an image and then choose the full screen option when redirected to flickr, which takes a few seconds to fully load. Special thanks to Neil Cooper of Shepherd Media for taking these pictures and creating the slideshow. 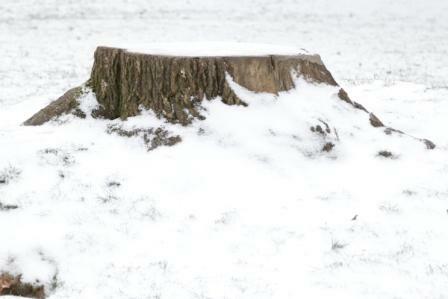 For a slideshow of the Flora and Fauna in the Park, click here. Bognor Regis is usually at the top of the sunshine league for the entire UK. 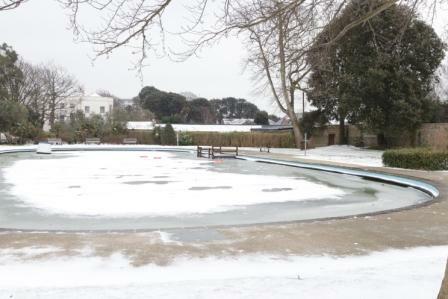 Winters in Bognor Regis are often relatively mild and significant amounts of snow are a rare occurance. 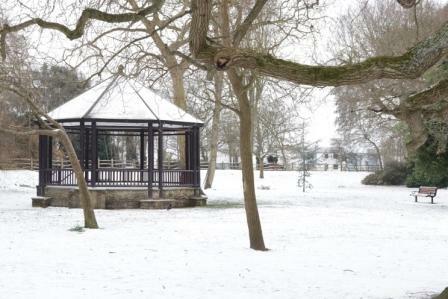 In February/March of 2018 there was a reasonable snowfall and Hotham Park Heritage Trust, thanks to Neil Cooper of Shepherd Media – for braving the cold and taking and donating the pictures below – is pleased to show Hotham Park in all it’s snowy glory! 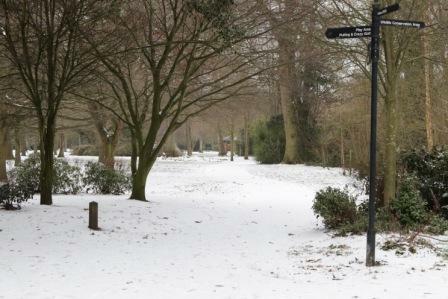 As you can see, we have many exciting projects and, if you would like to get involved in any aspects of Hotham Park Heritage Trust we would love to hear from you. 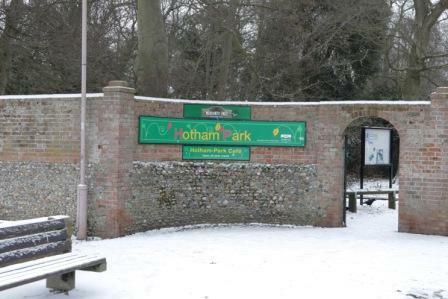 Your support and help with the work we do will help to ensure that Hotham Park goes from strength to strength.